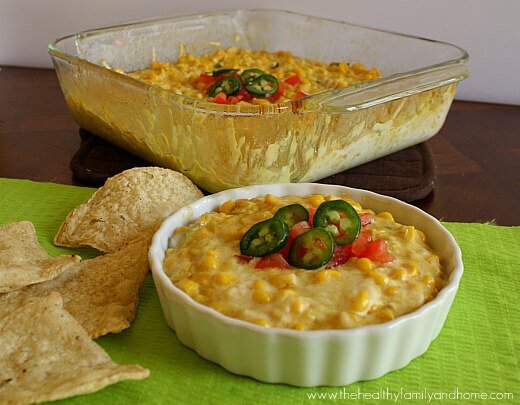 And, there’s probably a reason the recipe is called “hot” corn dip…it 110% tastes better “hot” out of the oven than after it has cooled down, so definitely make sure you serve it hot! Tip: Corn is the #1 GMO crop being produced today. Please make sure the corn you use is ORGANIC to avoid GMO’s. 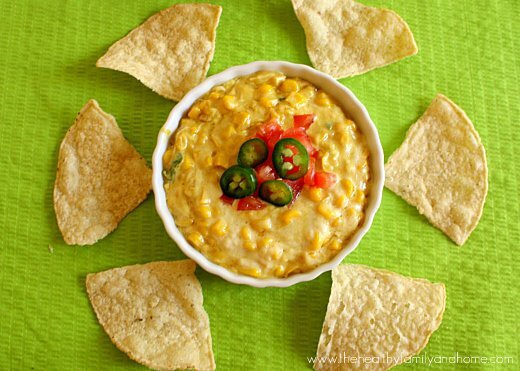 The same if you use corn chips – get ORGANIC or non-GMO corn chips. I used 365 Brand from Whole Foods for both the corn and corn chips. I’m very excited to try this recipe. But we also don’t have Daiya cheese anywhere around. Do you think it will work just as well and taste just as good if I substituted the Go Veggie cheese instead? Hi Michelle! Yes, you could use another brand of shredded cheese for this recipe. I just showed the Daiya brand because that’s the brand I buy. As long as it melts it will work fine. Hi there. Food on Friday: Corn on Carole’s Chatter is now open for entries. This looks like a good one! I do hope you link it in. TPlease do pop back to check out some of the other links. Have a great week. I stumbled upon your blog a few times during the past weeks and I have to say, I really like it. Such an adorable design! This recipe lokks and sounds super yummy, regrettably Daiya is not available in Germany yet. Hi Lara…thanks for stopping by! That’s terrible you don’t have Daiya! Is there another vegan brand in Germany you can use instead? Maybe you could do a Google search and see if there are any online stores that can ship to you?